Albuquerque, NM – Rep. Steve Pearce has sent a letter to U.S. Attorney General Jeff Sessions seeking an investigation and prosecution of the University of New Mexico and its partner, Southwestern Women’s Options, the largest full-term abortion facility in the U.S.
•	The statute of limitations is quickly approaching the rest of the allegations against UNM and Southwestern Women’s Options. •	There has been one documented death of an abortion patient at Southwestern Women’s Options this year, raising concerns that the dangers at SWO must be immediately addressed. Pearce remind Attorney General Sessions that women travel to New Mexico from all over the country to receive abortions. 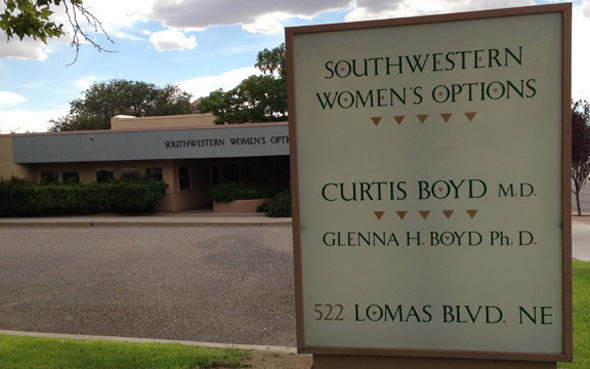 This thriving abortion business, which specializes in abortions throughout all nine months of pregnancy, profits from interstate commerce, making the issue a federal concern. Pearce was especially troubled about the February 4, 2017, death of Keisha Atkins from a botched late-term abortion she received at Southwestern Women’s Options. “On February 4, 2017, a woman tragically died at SWWO facilities after receiving a late-term abortion. This raises more questions about the reckless behavior of the SWWO. In 2016 alone, the National Abortion Federation reportedly referred more than 200 Texas patients to New Mexico for abortion related procedures. With hundreds of women flocking to New Mexico to receive these dangerous procedures, something must be done” Pearce wrote. 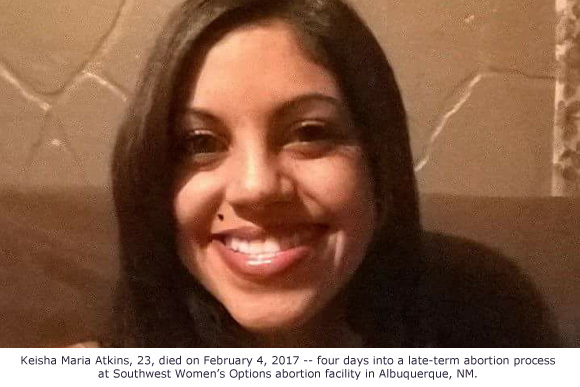 Tara Shaver of Abortion Free New Mexico uncovered the death of Keisha Atkins, 23, and obtained her UNM autopsy report that wrongly indicated Atkins’ pregnancy – not her abortion – caused her death. However, an analysis of the autopsy report clearly shows that determination was a cover-up of the truth that Atkins died a painful, panic-filled death as the result of complications that could only have resulted from the late-term abortion. On April 19, 2017, Rep. Pearce, along with several leaders from state and national pro-life organizations, including Operation Rescue, attended a press conference with Rep. Marsha Blackburn, Chairman of the House Select Panel, that called for New Mexico Attorney General Hector Balderas to act immediately on the Select Panel’s criminal referrals that allege UNM and Southwestern Women’s Options were willing partners in the sale of aborted baby remains in violation of state and federal laws. Later that same day, Balderas’ office acknowledged during a meeting with leaders of Operation Rescue, Abortion Free New Mexico, and several other pro-life groups that the referrals were under active investigation, yet there has been little progress. On June 26, 2017, Operation Rescue president Troy Newman sent a letter to Balderas urging him to investigate criminal allegations against UNM and SWO with all urgency, but no response to that letter was ever received. Please contact the office of U.S. Attorney General Jeff Sessions and demand that the Department of Justice conduct an immediate criminal investigation of UNM and the Southwestern Women’s Options abortion business.